January is that time of year when we all aspire to change our lives & start something new - so why not focus your attention on a new bedroom? Bonaparte chair...on trend velvet style! 1. Get on trend. Velvet is reportedly going to be one of 2018's favourite fabrics. It feels as good as it looks & adding a touch of velvet into your bedroom can create a sense of pure luxury & elegance. You could curl up in the Bonaparte Slate Grey Velvet Chair on a lazy day, or layer up your bed with the Vitton Grey Velvet Bedspread. 2. Into bed. Your bed is the main feature in your room, so make sure it compliments your rooms design and is one you love! A beautifully crafted bed is a worthy investment & so is your mattress. We recommend our bespoke New York Bed Frame to create a standout feature & why not pair it with our very own Exclusive Mattress? Using a unique combination of the latest 'cooling' memory foam, up to 3000 individual pocket springs and the very latest in sleep technology, we can help you achieve your perfect night's sleep. 3. The perfect bedside. Find the perfect bedside table to compliment your bed & dress it with some added luxuries. 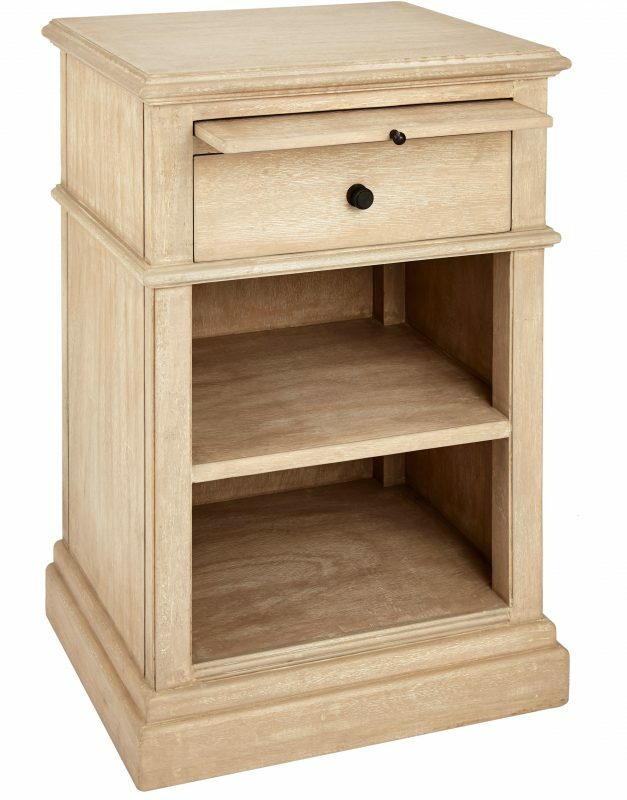 Go classic with the Kensington Bleached Oak bedside table or maybe try something a little more rustic with the Gustavian White Distressed bedside table? Add a stack of magazines to read on those lazy mornings or fill a trinket tray with night time necessities like a Neom Pillow Mist for that perfect nights sleep. 4. Lighting. Lamps make a room feel more inviting and can help achieve the desired atmosphere. Check our previous blog post "Bulb Talk" on finding the correct bulbs for your room - you'll be amazed at the difference between them! 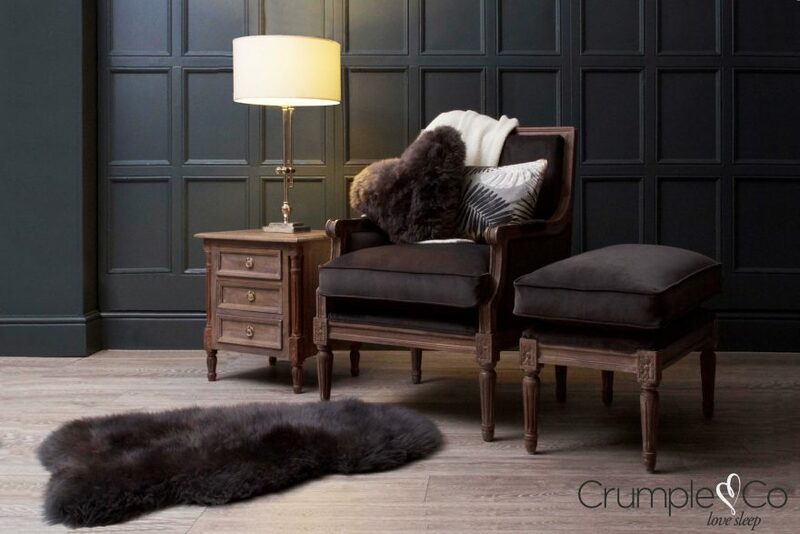 Try creating a welcoming reading corner with the Hermes lamp base, perhaps teamed with a Retro Drum shade. Candles are another great source, creating a calming atmosphere ahead of bedtime. Lighting a candle before you climb into bed can really help you wind-down & relax, especially if it's an aromatherapy one, like the Pure Natural Therapy Candles. Finlay stripe cushion...bedspreads to match! 5. Dress your bed. Layer up with a combination of pillows, cushions & throws to add extra comfort for those chilly evenings. 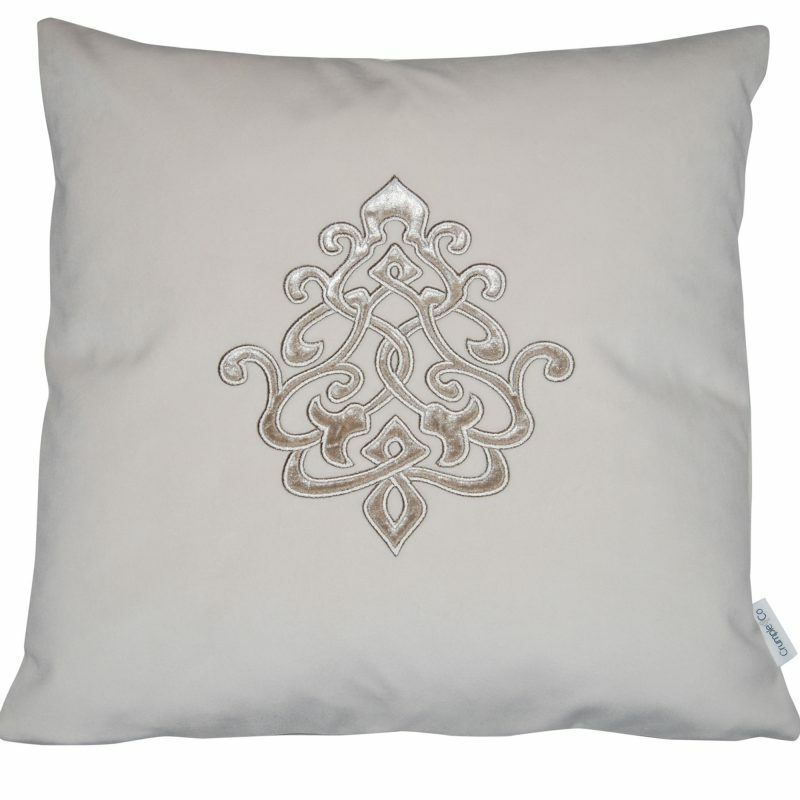 Cushions give a feeling of warmth and relaxation before you have even climbed into bed, so make sure you choose the right ones for you. 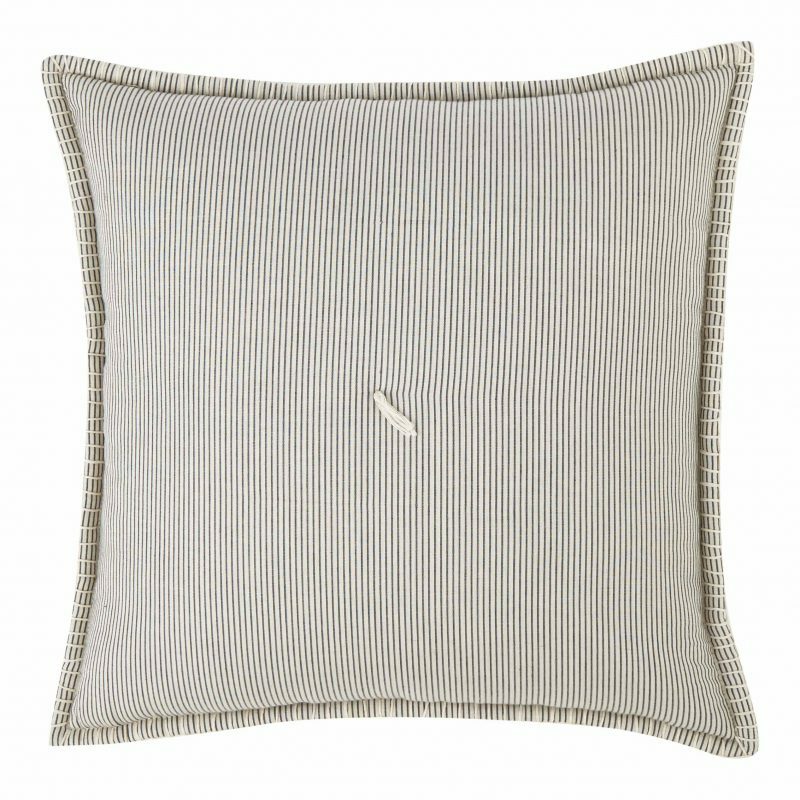 Some of our favourites are the Louis Stone Velvet Appliqué cushion & the Finlay Ecru & Ink Striped cushion. Throws are both decorative & practical - they instantly become an extra layer to curl up in as soon as the cold weather sets in. 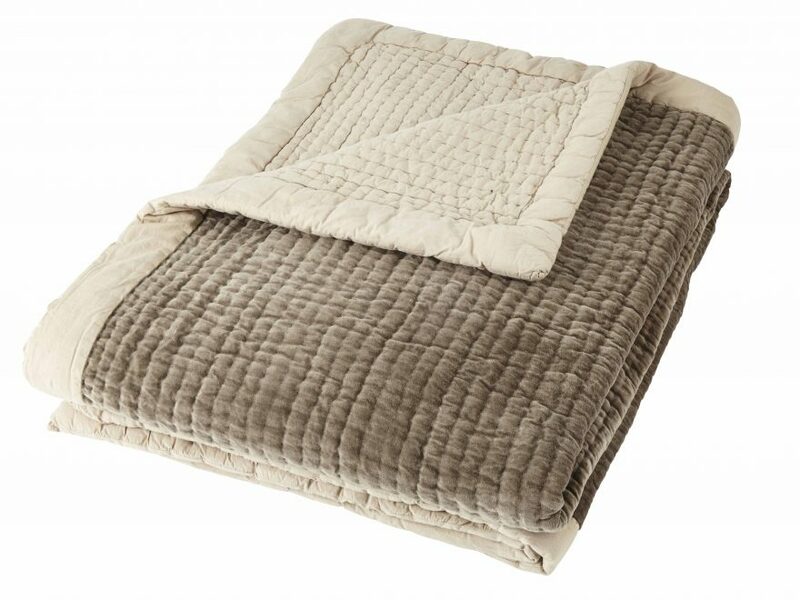 The Longchamp Beige Velvet Bedspread is a particular favourite of ours & why not add extra luxury with the Snow Queen Luxury Faux Fur Throw? 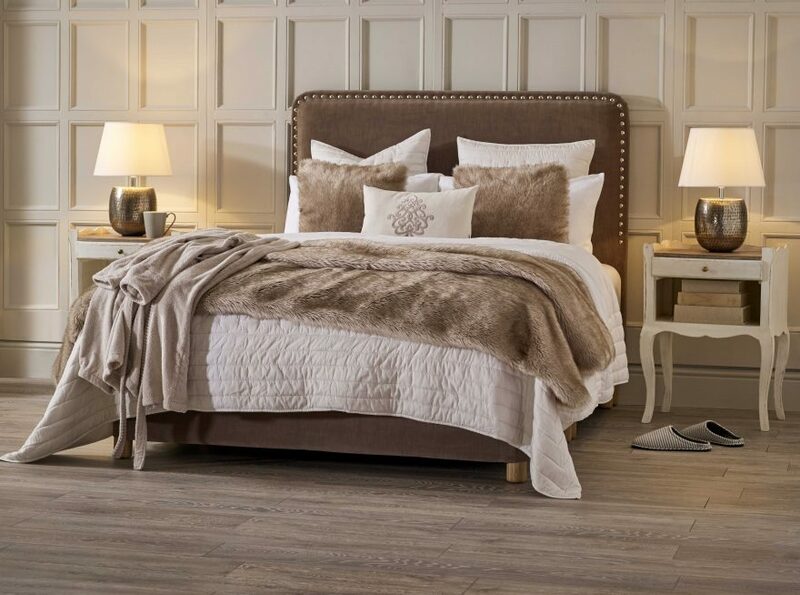 We hope this blog post has given you a little inspiration if you are thinking about redesigning your bedroom this New Year. If you need a little more help or guidance, just call us on 01937 585577, or drop us a line at info@crumpleandco.com - we'd love to help!